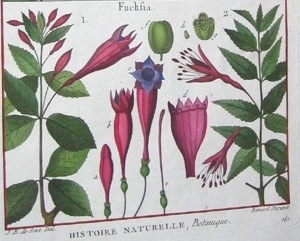 but the Begonia, the Lobelia, the Magnolia and the Plumeria (to name but a few) were discovered by the French botanist, Charles Plumier (1646-1704). 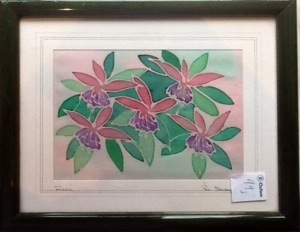 And here is a painting on silk done by Pam Stanley and handmade at the Seion Weaving Centre in Llanberis, Wales. I can’t find any information about Pam or the Weaving Centre. 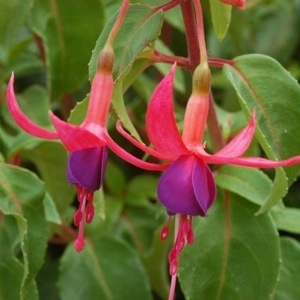 However this does not distract from this beautiful depiction of Fuchsias and it only cost me 99p. I am sure Chas would have approved and given it a home.